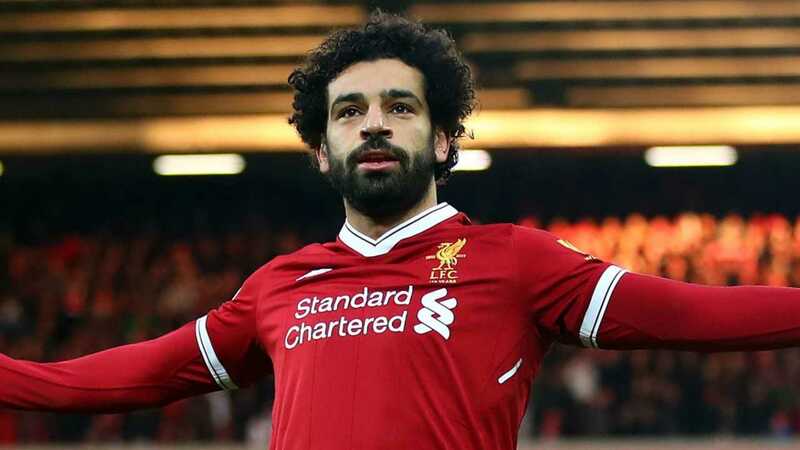 Mohamed Salah is an Egyptian football player who plays as a forward for the Egyptian national team as well as the Premier League club ‘Liverpool’. Born and brought up in Gharbia, Egypt, he is a gifted footballer since his childhood. He is best known for his pace, movement, dribbling skills, ball control, and clinical finishing. Salah is often nicknamed as the Egyptian Messi for his playing style. He started his career with the youth team of the Egyptian club ‘El Mokawloon.’ Soon, his transition happened to the club’s senior team in the ‘Egyptian Premier League’ in 2010. He has also played for Swiss club FC Basel, Premier League club Chelsea, Seria A clubs Fiorentina and Roma. Salah won the Premier League Golden Boot in his debut season at Liverpool with 32 goals in 36 league games and also became the record scorer for Liverpool in a debut and a single season with 44 goals in all competitions in 2017-2018. He has won PFA Players' Player of the Year, FWA Footballer of the Year, Premier League Player of the Season, and Liverpool Player of the Season in 2017-18. Recently he has won the 2018 FIFA Puskas Award. He is nicknamed as Egyptian Messi for his playing style, stronger left foot, position, goal-scoring abilities, pace, and skills. The full name of Salah is Mohamed Salah Ghaly. He was born on 15 June 1992 in Nagrig, Egypt. He holds Egyptian Nationality. He started playing football from local clubs Ittihad Basyoun. In 2005, he played for Othmason Tanta. In 2006, Salah started his youth football career from El Mokawloon. 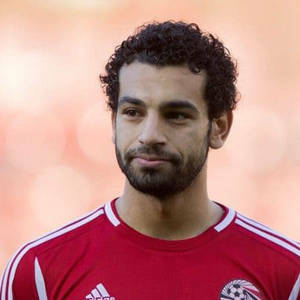 Salah made his senior team debut from the Egyptian Premier League club El Mokawloon in 2010 and scored his career first goal in December 2010. Egyptian Football Association canceled the remainder of the 2011-12 season after the Port Said Stadium riot, happened in February 2012. FC Basel signed Salah in April 2012. Swiss Super League club Basel signed Salah in April 2012 on a four-year deal. Salah made his Swiss League debut in August 2012. Salah won Swiss Super League and finished Swiss Cup second place in his debut season. Salah won 2013 Uhrencup for Basel. Premier League club Chelsea signed Salah in January 2014 for a reported fee of around 11 million pounds and became the first Egyptian to sign for the club. Salah made his Premier League debut against Newcastle and scored his first goal for Chelsea in the London Derby against Arsenal in March 2014. Egyptian prime minister Ibrahim Mahlab and the Minister of Higher Education and the Egyptian national manager Shawky Gharib spared Salah of compulsory military service for Egypt before the start of the 2014-15 season at Chelsea. Eden Hazard changed his shirt number from 17 to 10. Salah acquired the vacated shirt number. He previously wore shirt number 15. Chelsea Manage Jose Mourinho did not give Salah much games at Chelsea. Chelsea loaned Salah to Serie A club Fiorentina. Fiorentina loaned Salah from Chelsea in February 2015 on an 18-month deal in exchange for Juan Cuadrado. Salah, in honor of the victims of the Port Said Stadium riot, chose shirt number 74 at Fiorentina. Salah made his Serie A debut in February and scored his first goal against Sassuolo in the same month. Fiorentina tried to make the Salah on loan move permanent, but Salah refused to stay at Fiorentina. Another Serie A club AS Roma signed Salah on a loan for 5 million Euro in August 2015. Salah wore shirt number 11 at the club. Salah made his debut for the club against Hellas Verona in August and scored his first goal for the club against Sassuolo in September. Salah became the clubs top goalscorer with 15 goals, 14 in the league and six assists at the end of the season and was named Player of the Season. Roma made the Salah move permanent for a reported fee of 15 million Euro in August 2016. Salah scored his first club career hat-trick on 6 November 2016 against Bologna. Salah was substituted for legendary captain Francesco Totti on 28 May 2017 in the final game of the season against Genoa. It was his final game for the club. Salah returned to Premier League after agreeing to sign for Liverpool and became the first Egyptian to sign for the club. Liverpool signed Salah for a club record transfer fee of 42 million Euro in June 2017. Salah was given his shirt number 11 worn by Roberto Firminho. Firminho switched his shirt number to 9. Salah made his debut for the club in August and scored on his debut match as well. Liverpool became the first club in the Premier League history to win four consecutive away league matches by a margin of at least three goals in December 2017. Salah became the clubs record goal scorer in a single season with 32 goals in 38 matches and also won Premier League Golden Boot for the season. Liverpool defeated Roma and qualified for the Champions League final for the first time in eleven years. Salah injured his left shoulder in the 30th minute in a challenge with Sergio Ramos and left the field in tears in the 2018 UEFA Champions League Final against Real Madrid. Liverpool lost the final 3-1. Salah won the 2018 FIFA Puskas Award. Previously, Salah played for Egyptian national team under different age levels. Salah made his senior debut for the Egypt national team in September 2011 against Sierra Leone and scored his first international goal for the senior team against Nigeria in qualifying match for the 2012 Africa Cup of Nations on 8 October 2011. Salah performed a heroic display for Egypt national team when they qualified for World Cup for the first time since 1990. Due to a shoulder injury suffered in the 2018 Champions League final against Real Madrid, Salah was not fully fit to play for Pharaohs in the 2018 FIFA World Cup at Russia. Salah scored 2 goals in the World Cup, while Egypt lost all three World Cup group stage matches. In 2013, Mohamed Salah married Maggi. They have a daughter named Makka, born in 2014. The name of her daughter "Makka" was given in the honor of the Islamic holy city. Salah is Muslim by religion. He often celebrates his goals performing the sujood. It is his signature goal celebration style. Mohamed Salah displayed a phenomenal performance for Liverpool in the 2017-18 season. It was his career-best season so far. Liverpool signed Salah for a club record transfer fee of 42 million Euro in June 2017. As of 2018, the net worth of Mohamed Salah is estimated at around $28 million. He has an annual salary of $3 million at Liverpool. If he continues his phenomenal performances, he will be earning a lot more in the coming years. Salah has a sponsorship deal with Adidas, Vodafone Egypt, and other companies. He usually drives an Audi Q7. Salah was criticised for not handshaking with Maccabi players during the first leg of Champions League third qualifying round match against Maccabi Tel Aviv. He offered fist bumps in the return leg. Salah became the first Egyptian to play for Chelsea in 2014 and Liverpool in 2017. Salah was spared of compulsory military service for Egypt before the start of the 2014-15 season at Chelsea. Salah scored his first club career hat-trick against Serie A club Bologna.